Today we will share with our readers some photos of a very joyous and lively couple from Russia who decided to come over to Malta to get Married. We were lucky enough to meet them and to be booked as their wedding planners for the day. The planning for their big day started around four months before the wedding date. 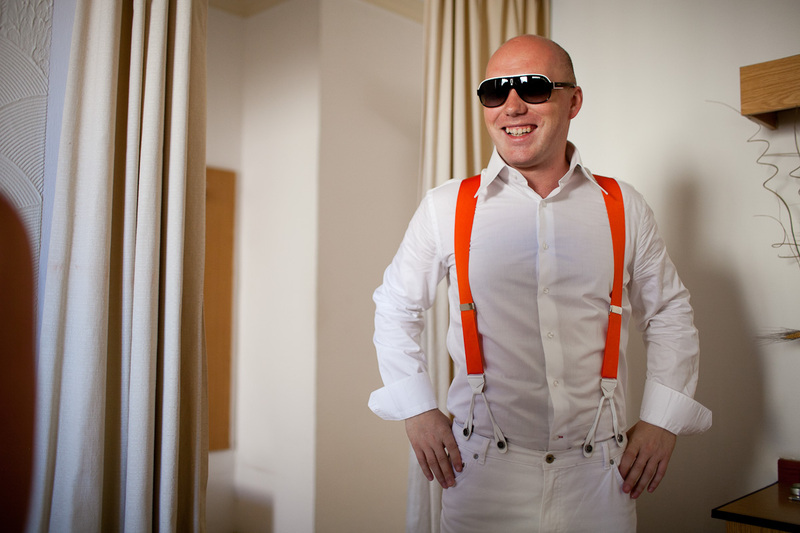 The selected villa which was used for the civil ceremony and the reception, is situated in Sliema – a popular turustic destination in Malta. The villa is an 18th century architetural masterpiece and is esquisitely decorated in a contemporary style. On the day of the wedding everything went exactly as planned. Our hairdresser and the make-up artist (both with over 10 years experience in thier respective fields) arrived at the bride’s hotel at around 9 a.m. After around one and a half hour the bridal make up and hair were ready. At around 10.30 our trusted florist delivered the purple and white wedding bouqet and the button hole to the bride and groom. The couple were dressed up and set to leave the hotel at around 11.30am where they found the selected wedding car waiting in front of the hotel entrance. As requested by the couple, the day started with a photosession in various parts of the island. The selected photographer, Artem Bruk did an amazing job to capture the beauty of the couple and the surrounds and the result can be admired in the photos below. Following the photosession, the couple made thier way to the villa for the civil ceremony. 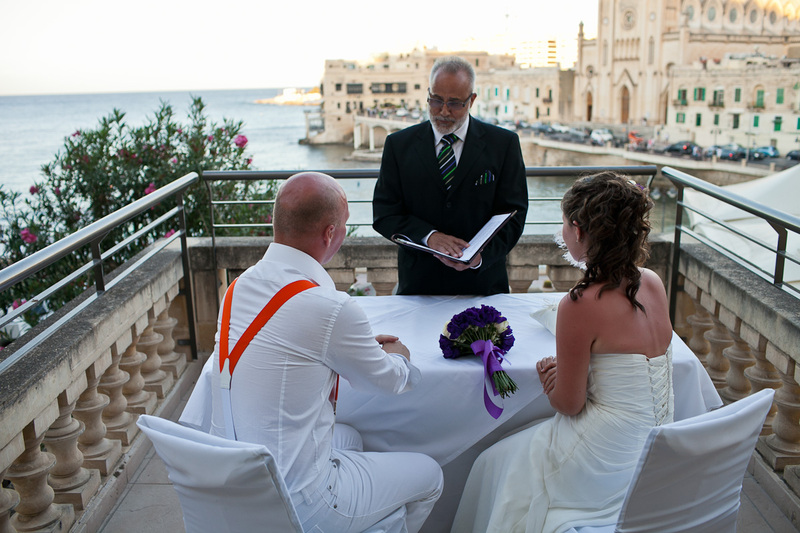 The ceremony was held at sunset in an intimate terrace overlooking the Meditteranean sea. After the ceremeny the wedding festivitities continues with a stand up reception and a delicious meal cooked by our award winning chef. 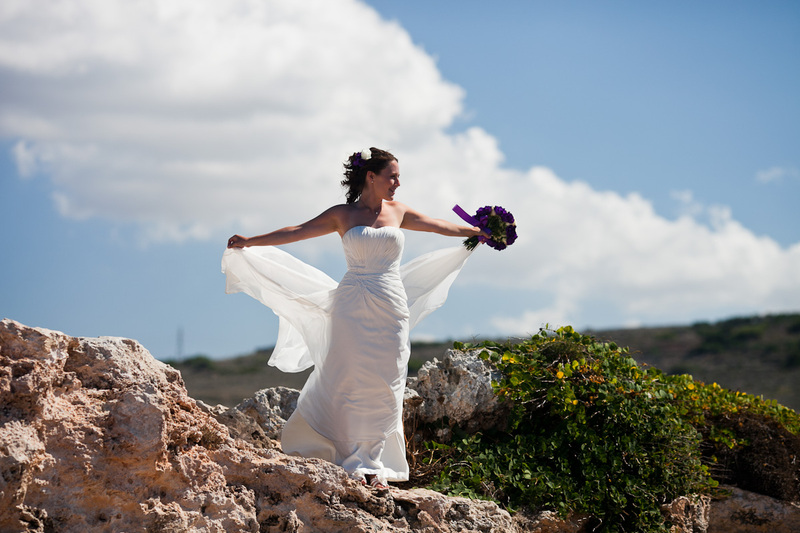 If you require assistance in planning your wedding in Malta please do not heistate to contact us on http://yourmaltaweddingplanner.com.